There are several medication options that can relieve the symptoms of diarrhea-predominant irritable bowel syndrome (IBS-D), which include frequent, urgent bouts of loose, watery diarrhea, abdominal pain, and cramping. While irritable bowel syndrome (IBS) can also cause diarrhea, IBS-D is unique in that diarrhea is the central symptom of the condition. While some medications used for IBS-D are used for the treatment of diarrhea due to a variety of causes, there are a few drugs specifically approved for IBS-D, as well as others that are used off-label. Be sure to tell your doctor about the extent and frequency of your diarrhea to ensure that, if you have IBS-D, your condition is being managed as safely and effectively as possible. Imodium (loperamide), an over-the-counter anti-diarrhea medication, is taken orally and is usually well-tolerated when used as directed. It works against diarrhea by decreasing the speed of intestinal contractions and the amount of fluid in the large intestine. This results in less urgency and firmer stool. Overuse may cause constipation or a serious side effect called toxic megacolon, which is severe distension (widening) of the colon. Pepto-Bismol, Kaopectate (bismuth subsalicylate) can relieve diarrhea, stomach upset, and indigestion. It prevents diarrhea by reducing the amount of fluid and inflammation in the intestines. It may not be practical if you have prolonged bouts of diarrhea with your IBS-D because is not recommended that you take it for longer than two consecutive days. There are a number of prescription treatments that you can use to relieve your diarrhea in IBS-D, some of which are specifically indicated for the condition, and others which can be effective for a variety of problems. Xifaxan (rifaximin) can reduce abdominal pain, episodes of diarrhea, and bloating with IBS-D. This antibiotic is not absorbed in the stomach, and its actions are thought to occur locally in the small intestine. It is typically well-tolerated and does not have a harmful impact on bacteria within the large intestine, a concern with some other antibiotics. Viberzi (eluxadoline) can reduce episodes of diarrhea and abdominal pain in IBS-D. It works on opioid receptors within your digestive system to regulate the speed of intestinal contractions, fluid secretion, and pain sensations, and it is labeled a controlled substance because there is a risk that it could become habit-forming. Lotrinex (alosteron HCL) is approved for women with IBS-D who have not improved with conventional therapy. According to the manufacturer, it can cause severe constipation, bowel obstruction (blockage of the intestines) due to hard stools, toxic megacolon ( life-threatening widening of the colon) or ischemic colitis (death of the colon due to a lack of blood supply). Antispasmodic/anticholinergic medications are frequently prescribed for the relief of abdominal pain and cramping caused by a number of conditions. These medications target and reduce acetylcholine, a neurotransmitter that stimulates the digestive system. The resulting reduction in secretion of mucus and slowing of the intestines reduces symptoms of diarrhea in IBS-D. Although commonly prescribed for the treatment of depression and anxiety, antidepressants can have beneficial effects on IBS-D symptoms. Tricyclic antidepressants and selective serotonin reuptake inhibitors (SSRIs) may work to reduce symptoms of IBS-D through their action on neurotransmitters in the intestines. Prescribing an antidepressant for IBS is considered off-label for treatment of IBS-D symptoms, but it is commonly used because it can be effective and is generally well tolerated. Emerging​ research has indicated that approximately one-third of all cases of IBS-D might be attributable to a condition known as bile acid diarrhea (BAD). For some people episodes of diarrhea occur immediately after eating. Bile acid binders can be used off-label for this condition. It may take years for you and your doctors to recognize that you have IBS-D, even if you have already been diagnosed with IBS. 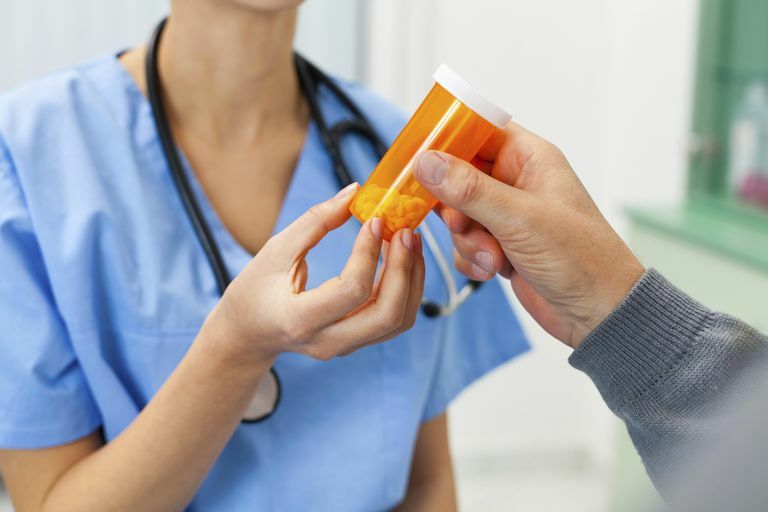 The medication treatment strategies can be a little different than for IBS, as you may need little or no medication for constipation, and you may need to take anti-diarrhea medications more frequently. Be sure to take medications only as recommended to avoid side the effects and adverse events that can occur with overuse of anti-diarrhea medicine. Camilleri M. Medical Therapies in the Pipeline for Irritable Bowel Syndrome. Gastroenterol Hepatol (N Y). 2017 Sep;13(9):550-552. Pimentel M, Cash BD, Lembo A, Wolf RA, Israel RJ, Schoenfeld P. Repeat Rifaximin for Irritable Bowel Syndrome: No Clinically Significant Changes in Stool Microbial Antibiotic Sensitivity. Dig Dis Sci. 2017 Sep;62(9):2455-2463. doi: 10.1007/s10620-017-4598-7. Epub 2017 Jun 6.